Monday is expected to be the warmest day of the workweek, with a high of 50-54 degrees. Tuesday will be much colder -- cold enough, in fact, that a developing storm system could lead to snow in some parts of our region Tuesday evening. By late afternoon Tuesday, some areas north and west of the District are expected to see accumulating snow. 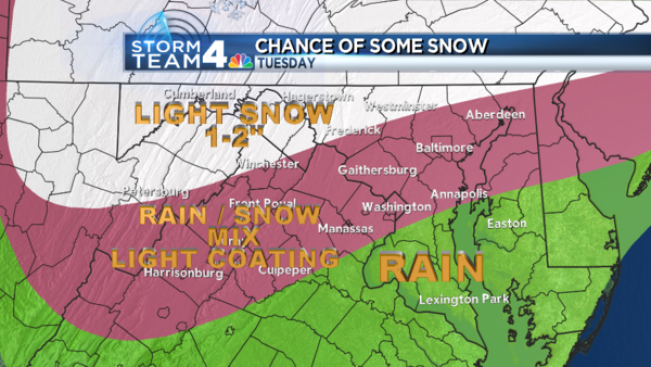 Northern Maryland has the best chance of seeing winter weather, about 1-2 inches. 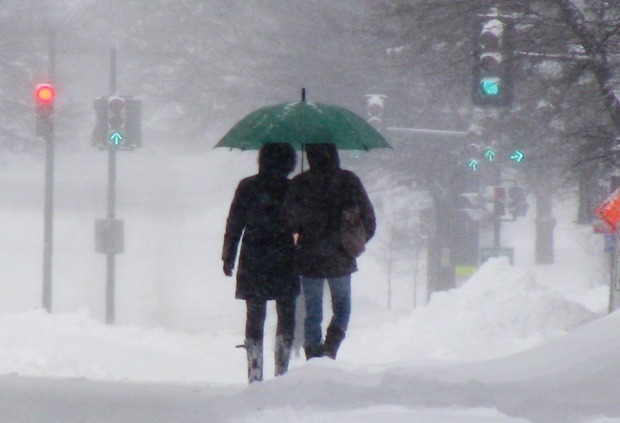 The District and areas close by -- including Arlington, Alexandria, Fairfax, Prince George's and Montgomery counties -- will see a wintry mix of rain and snow with no accumulation likely.